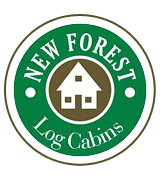 The pricing varies and depends largely on a number of factors such as the log size, how much glass, windows, doors and for the different types of construction such as solid log or Log Panel Homes, however, the cost includes the supply of all materials to meet full UK Building Regulations. Why don't you drop us a line preferably with a drawing, giving brief details of your requirements and let us give you an estimated price alternately if you have any questions or comments please e-mail them to us, you will receive a prompt reply. Looking for the perfect location in Dorset to site your Mobile Lodge.